Hari Kondabolu suggests the Washington Redskins change their logo to a severely sunburned white person. If they insist on keeping the name, that is. 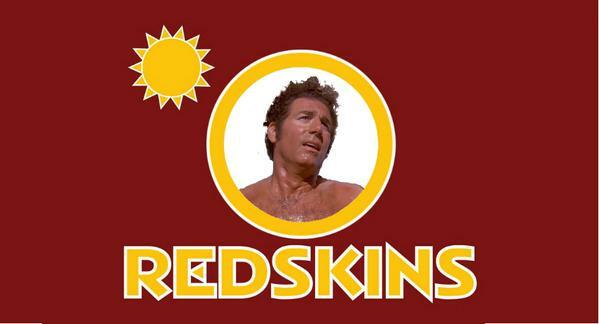 As has been documented, the Washington Redskins and their fans don't want the team's name changed. So comedian Hari Kondabolu has an idea: Why not change their logo to a severely sunburned white person? 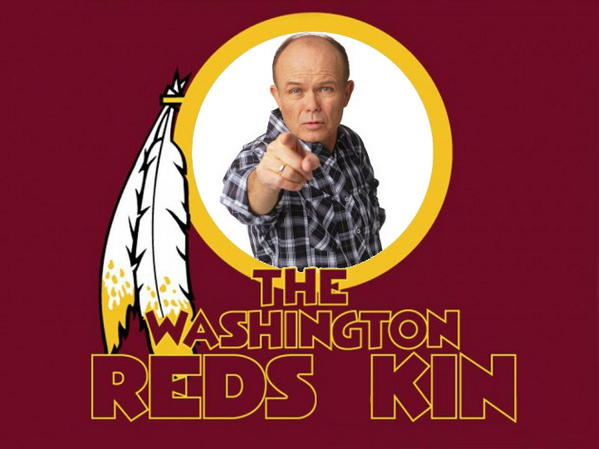 He's collecting submissions on a new Tumblr with the hashtag #newredskinslogo, and encouraging people to tweet their ideas at the Redskins. This is Redskins owner Dan Snyder (with a nasty sunburn). Kondabolu told BuzzFeed News that while talking about the absurdity of the Redskins name is "well-trodden comedic territory," the jokes "always involved explaining oppression by comparing it to another oppression." "I thought it would be interesting to put the joke on white people," he said in an email. "How absurd would it be if the racial group being caricatured this time was a white person?" "Since logic and human decency have not led to a much-needed name change, I wanted to contribute to the destruction of the Redskins brand through public mockery," Kondabolu said. The New York-based comic made a video explaining his rationale, in which he asks: "When is pointing out the color of someone's skin a way to honor them? Especially when it's not the color of their actual skin?" "I wanted to create a video about the Redskins logo that had a new comedic angle while also involving more people through social media," Kondabolu said about the clip, which features well-known writer and performer Brian McCann. "That's why it's framed as a campaign." In the video, Kondabolu explains, "You see, it doesn't matter how old your tradition is. If enough people tell you that it's hurting them, maybe you should reevaluate your choices."